If you’ve opened a newspaper or kept an eye on the markets lately, you know that the last few weeks have been crazy. Volatility is back, and it’s back with a bang. Currently, we are experiencing what’s called a market correction—a 10% drop from a recent peak. 1. Market corrections are inevitable, temporary, and in some cases, healthy. A correction can even create opportunities for the future, as it opens the door for investors to pick good companies at lower prices. 2. This is what you pay us for—to hold your hand and help you get through times like these. So with that in mind, I’d like to tell you about a few things we’ve been doing here at Gold Tree Financial. First, we’ve been studying the markets intensely over the past several weeks. As a result, we believe we’ve got a good handle on what’s causing all this market volatility. In this case, we are experiencing uncertainty over what the Federal Reserve is going to do with interest rates, and it was recently announced by the International Monetary Fund (IMF) that they are seeing a global slowdown. Second, we’ve reviewed your portfolio for any potential problems or signs of weakness. The good news is that we feel your investments remain on solid ground. We’ve invested in good companies, have factored in your goals, risk tolerance, and immediate needs, and ensured that you remain properly diversified. There may be some limited cases in which we suggest a slightly different portfolio allocation going forward, but we will contact everyone individually if there is a need for an adjustment. While you may see a decrease in performance in the short term as the markets take time to settle, remember that we’re invested for the long term. The day to day noise of the markets is just that: noise. Our job is to filter out that noise and keep you focused on what’s really important: your long-term goals. This is what you pay us for—to keep an eye on your investments and monitor your plan in an unemotional, unbiased way. Currently, emotions are running very high with many investors. Soon, they will discover what we already know: that acting out of emotion usually means overreacting. And that’s never a good thing. So here’s how we’re going to act: with patience, ration, and rules. 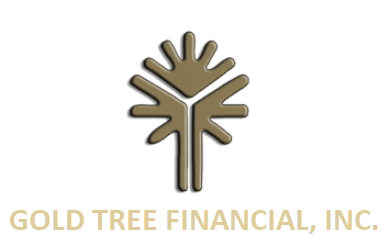 The Gold Tree Financial team and I will continue evaluating both the markets and your portfolio. If we feel the need to recommend any changes, we’ll let you know immediately. Because that’s what you pay us for. It’s in situations like these that we feel we can bring you the most value. In the meantime, we’re here for you if you have any questions or concerns. Please feel free to give us a call at (904) 725-0556 at any time. We are always happy to talk to you!